During the government shutdown, a bunch of elephant seals took over a California beach, and now, they ain’t going nowhere. 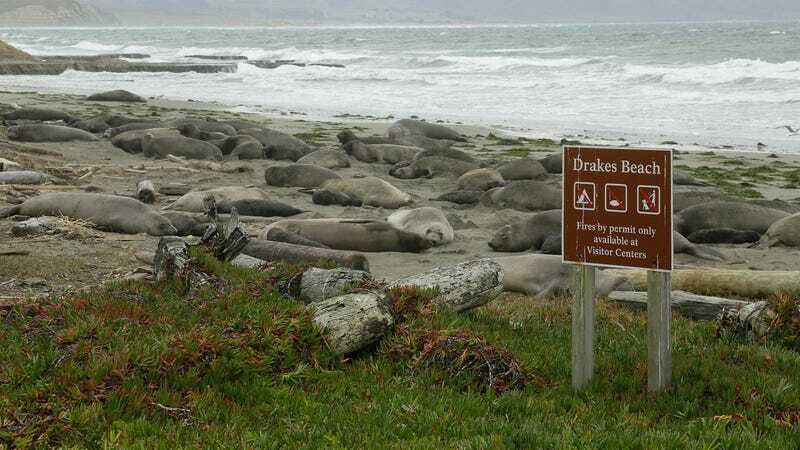 About 100 female elephant seals and their pups are claiming Drakes Beach in California for their own, according to The Guardian. They’re chilling in the parking lot, picnicking at tables, and playing volleyball probably. Normally, staff keeps seals and beachgoers apart, but during the shutdown, there was no one around to keep the seals from doing their thing. Let them have it. Humans have proven time and again that we don’t deserve nice things. Did you assertively claim your destiny like a nursing elephant seal this week?